Synthetic marijuana has garnered considerable media attention due to growing concern about its accessibility and potential side effects. The manufactured drug is known by several names, including spice, K2 and “fake weed.” Though the potpourri-like product is marketed as “herbal incense,” some people smoke it to achieve a marijuana-like high. The product has not been widely tested and is not governed by significant quality controls. Ingesting or inhaling K2 poses several health risks. K2 first appeared in the mid-'90s. Clemson University chemist John W. Huffman created the first known K2 compound, dubbed JWH-018, while studying receptors in the brain that react to cannabinoids, the marijuana family of drugs. The formula for the product leaked to the public, and its use as a recreational drug is thought to have originated in Europe. Manufacturers spray the chemical compound on a mixture of dried plants to create the “spice” product. One risk of K2 use is legal repercussion. Synthetic marijuana products are illegal in several European countries, including Britain, Germany and France. 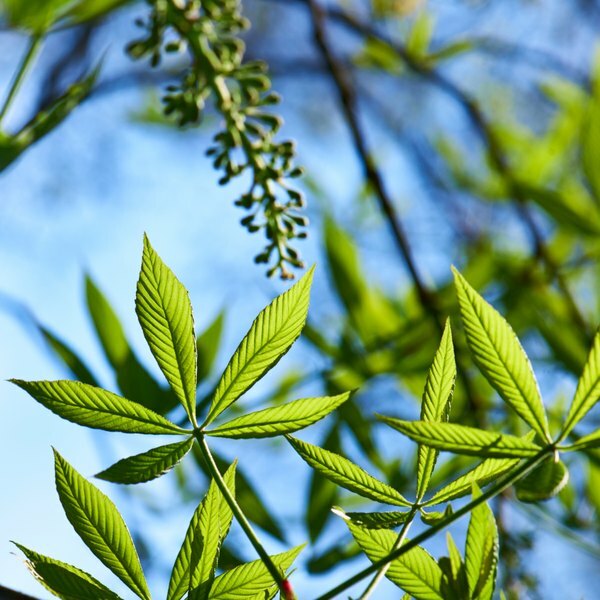 Kansas became the first U.S. state to ban synthetic marijuana in March 2010, and several other states have since followed suit. On a federal level, the Drug Enforcement Administration first classified synthetic marijuana as a “drug of concern.” In November 2010, the DEA announced that products containing JWH-018 and similar chemicals would soon become illegal under emergency legislation. K2 is often manufactured in an uncontrolled setting, and its chemical ingredients are not approved for human consumption. According to TestCountry.org, one of the major risks of K2 is its inconsistent labeling. Because the product is marketed as incense rather than a consumable good, manufacturers are not required to list the concentration of K2 compound. People who smoke it do not know how much of the chemical they are inhaling. The herbal incense mixture itself may contain a wide array of herbs, spices, flowers and tobacco, some of which may produce allergic reactions in sensitive users. Though the drug is meant to produce an effect similar to that of tetrahydrocannabinol, or THC, its side effects are not like those of traditional marijuana. According to a 2010 Live Science article, side effects of smoking K2 seen in teenagers and young adults include extremely high blood pressure, vomiting and tachycardia, or fast heartbeat. Other reported side effects include severe headaches, agitation, paranoid delusions, temporary vision loss, hallucinations and seizures. According to a CBS News Healthwatch story, Saint Louis University toxicologist Dr. Anthony Scalzo believes that the drug affects the cardiovascular and central nervous systems, but further studies are needed to determine the full extent of K2’s effects.